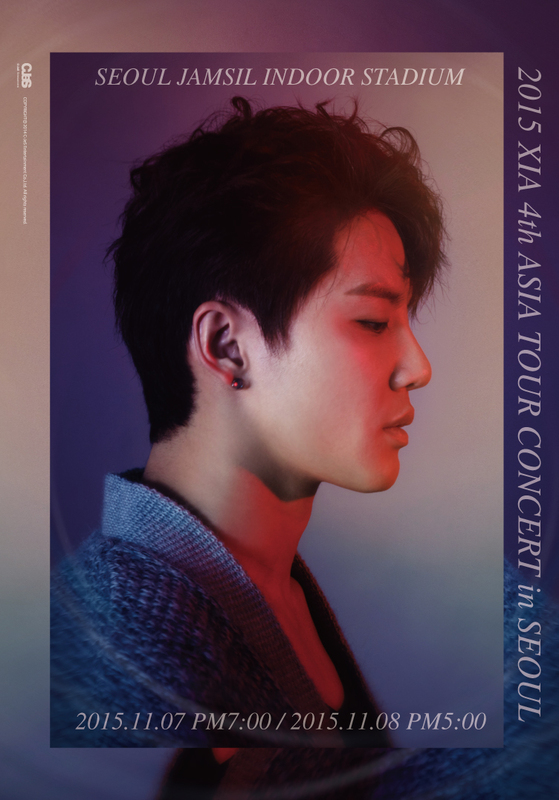 2015 XIA 4th ASIA TOUR CONCERT ‘YESTERDAY’ was the fourth international concert tour of JYJ’s member Kim Junsu (XIA), in support of his new mini solo album, 꼭 어제(Yesterday). 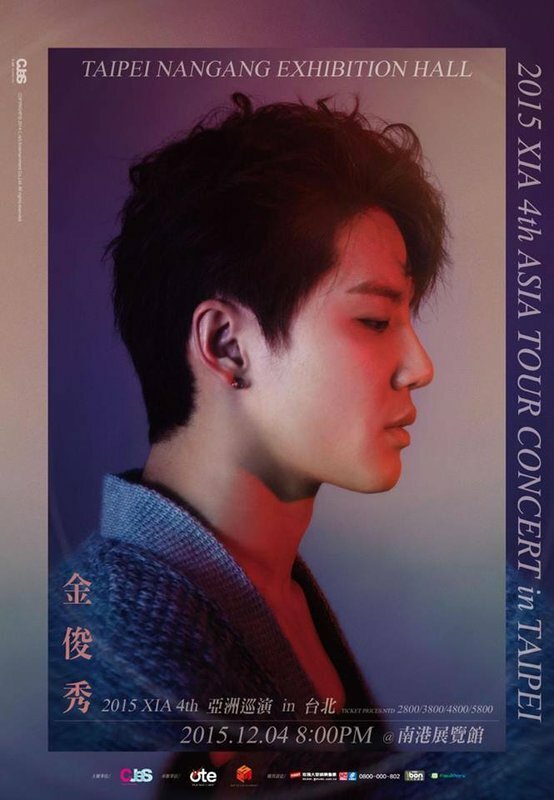 XIA held seven shows in four cities across Asia. XIA performing “Midnight Show” in Seoul. Photo: C-JeS Entertainment. The dates for the Yokohama shows in Japan were first announced by C-JeS Entertainment on September 15, 2015 through JYJ Japan Official Website while the shows in Seoul were revealed on September 24, 2015. XIA performed songs from his Tarantallegra, Incredible, Flower and Yesterday albums. The show lasted for about three hours. XIA was supported by 12 backup dancers. The first round of ticket sales for the Seoul concert was opened to public on October 1, 2015 as announced by Auction Tickets, the ticketing agency for the show in Seoul. The second round started four days later. 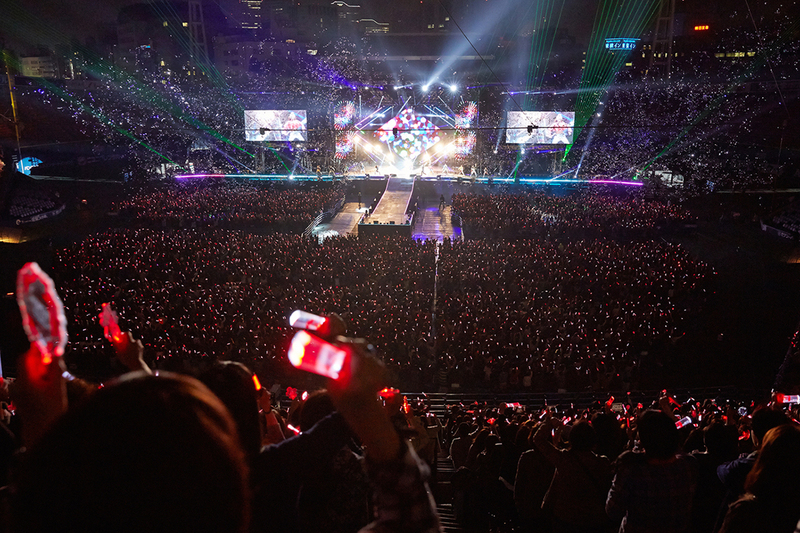 On October 15, 2015, additional limited-view seats went on sale for the same shows due to an increasing demand from fans. The dates for the Nagoya shows were added to the tour on October 10, 2015. C-JeS Entertainment confirms on November 10, 2015 that the tour will also visit Taipei. About 18 songs were performed in each show. “널 사랑한 시간에(In the Time that I Loved You)”, an original soundtrack from the TV drama series Mr. Baek, was included in the set list. 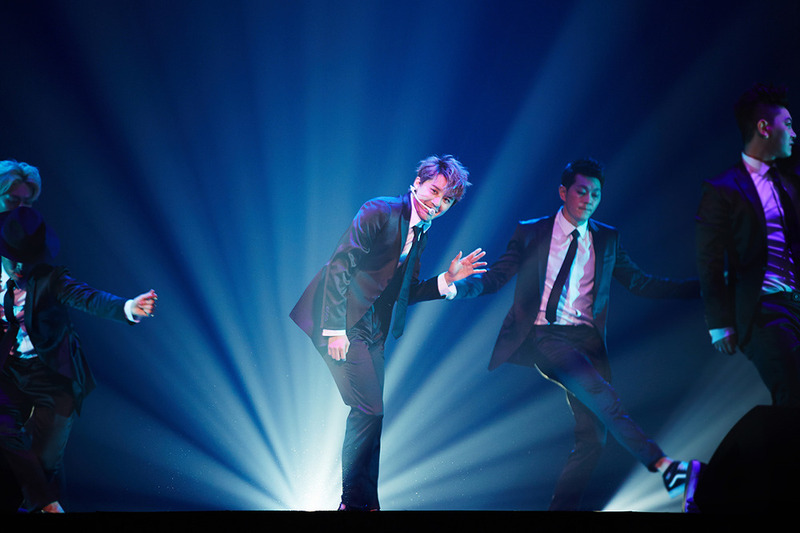 For the tours in Japan, he performed a solo Japanese jazz rendition of “Back Seat” from JYJ’s Wake Me Tonight single. In other countries, the song is performed in Korean. XIA held a ‘Genie Time’ corner, where he grants three wishes of his fans on stage, throughout the tour. XIA performing “알면서도(I Know But…)” in Yokohama. Photo: C-JeS Entertainment. Two new tracks from the Yesterday mini album and Flower album were performed in the Seoul concerts including “Tarantallegra (Acoustic Version)” and “나비(Reborn)”, replacing “No Reason” and “Taxi” respectively. Giriboy and BewhY attended both shows in Seoul as special guests and performed the raps for “OeO” and “Silk Road” respectively on stage with XIA. On the second night, XIA performed “Incredible” for the second time after “나비(Reborn)” as a triple encore request from fans. XIA’s fourth installment of his ballad and musical concert with orchestra series was announced after each show had ended. In Taipei, XIA celebrated his birthday in advance on stage towards the end of the concert on December 4, 2015. 500 fans were randomly chosen through lottery to attend the concert rehearsals prior to each Yokohama show. C-JeS Entertainment gave away 50 autographed concert posters to fans for the same concert. A special concert website was set up for the tour in Japan on September 15, 2015. The first promotional poster and video for the Seoul concert was unveiled on October 1, 2015. XIA bus wraps were operated in early October 2015 around Shin-Ōkubo to promote the shows in Japan and from October 26, 2015 till November 8, 2015 around Seoul for the two-night Seoul concert. A 20-second teaser was released on October 1, 2015 that showed snippets from “꽃(Flower)” music video and performances from the past Flower concert in Seoul. The tour’s name and concert dates for the shows in Seoul were mentioned towards the end of the clip. 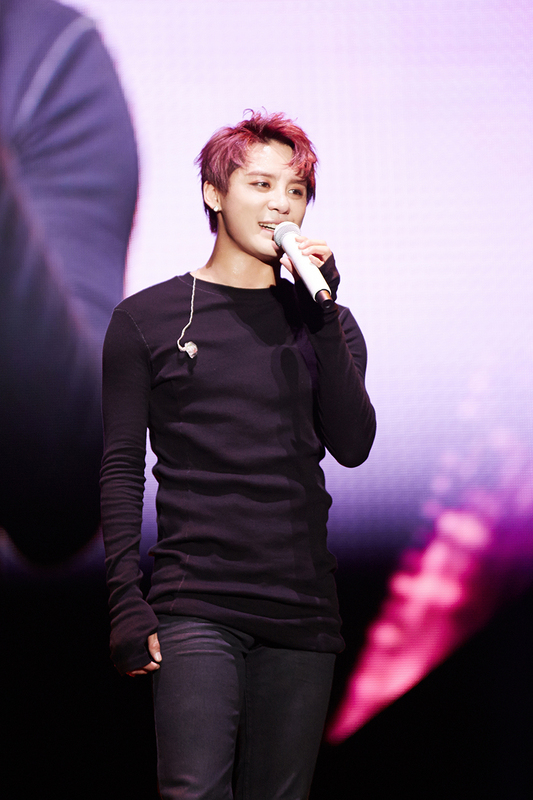 An exclusive video message by XIA to his fans for his Yokohama shows was revealed on October 9, 2015. The rehearsal for the performance “OeO” prior to the concert in Yokohama was recorded and released on October 27, 2015. The crowd in XIA’s Yokohama show. Photo: C-JeS Entertainment. Tickets for the November 2015 Seoul concerts were sold out in just 10 minutes after they went on sale on October 1, 2015. Musical actor Hong Kwang Ho attended the first concert in Seoul on November 7, 2015. Hong and XIA previously starred in the musical adaptation of Death Note in June 2015. “Tarantallegra (Acoustic Ver. )” was added before “X Song” in Nagoya. “No Reason” was removed from the set list in Nagoya. Yokohama concert goods. Photo: C-JeS Entertainment. Even though not part of the official concert goods, C-JeS Entertainment released a 64-page commemorative photo book for the tour on November 2, 2015. Priced at KRW 20,000, the book contains previously unreleased photos from XIA’s Yesterday mini album and music videos. 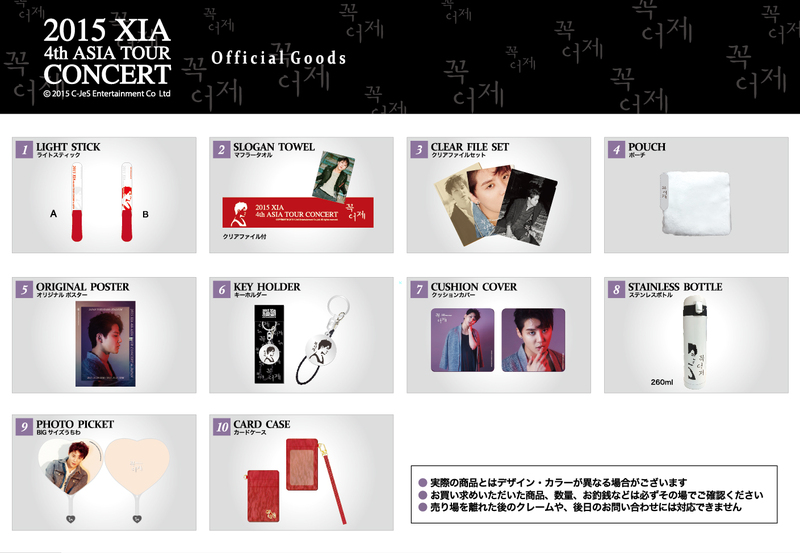 The list of goods was revealed one day ahead of the Yokohama concert through JYJ Japan Official Website. The sales of the merchandise for the two Yokohama shows began at 10:00AM local time. The goods for the Yokohama tour were not fully available for shows in the overseas and some merchandise were removed or added depending on the demand of each country visited. The existing red slogan towel in Yokohama was redesigned to brown for the Seoul concert. Both red and brown slogan towels were sold in Nagoya, together with a new colored key holder and a brand new blanket that were not previously available in cities before Nagoya. This list is representative of the sales in Yokohama. This table is representative of the sales in Seoul and Nagoya. This page was last modified on December 7, 2015.